The California Global Education Project (CGEP) at SDSU promotes global competence for all students through high quality, standards-based, and interdisciplinary professional learning programs for PK-12 educators in California. CGEP collaborates with teachers, schools, districts, and education partners committed to developing global citizenship, which enhances curiosity, creativity, empathy, integrity, and agency while learning about personal, community, and global identities and issues. Boys to Men Mentoring is a nonprofit organization that is committed to creating communities of dedicated men who are able to guide and support at-risk, often fatherless, boys on their journey to manhood. Every week, mentors show up at middle schools, high schools, and community centers to give teenage boys a community of men who listen, encourage, and empower them. Over 75% of the boys currently in the program are growing up without a father. Their community based mentoring approach gives boys a variety of positive male role models who show up consistently, tell the truth about their struggles as men, ask the boys what kind of man they want to be, praise them for their gifts, support them when they mess up, and encourage them to become the man they want to be. The CalWORKS Home Visiting Initiative Program supports health outcomes for pregnant and parenting women and infants born into poverty with the purpose of expanding their future educational, economic, and financial capabilities. The program provides 24 months of high-quality, evidence-based, culturally competent services that meet the needs of those in the community. The PEI program provides evidence based social-emotional mental health prevention and early intervention services for children in pre-school through third grade and their families. 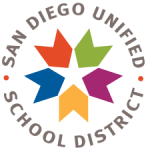 The program provides school-based services targeting children served in various schools throughout the San Diego and South region school districts and also creates Family/Community Partnerships to serve the families and communities of students. The ACT program provides evidence based therapeutic interventions that promote children’s social, emotional, behavioral, and academic competence. The community served is situated directly on the San Diego, USA / Tijuana, Mexico border, and includes persistently stressed families; families of children experiencing persistent trauma, maltreatment and abuse, families of children at risk of school failure, teen pregnancy and juvenile justice involvement; and a severely underserved cultural (predominantly Latino) population. The First 5 First Steps Home Visiting program provides home visiting services for pregnant women and families with children ages 0-3. First Steps promotes positive parenting and enhances child health and development for families who may face hardships and stressors that place them at increased risk for poor health and developmental outcomes. The program seeks to strengthen child and family relationships by providing support, education, and guidance through home visits. Click here to learn more. HDS provides a variety of services that assist in the early identification and treatment of children with mild to moderate developmental delays. 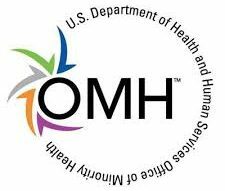 The services include assessments and treatment for developmental and behavioral concerns, as well as parenting classes and care coordination for families receiving services.